GOTHENBURG, Sweden, April 7, 2015 (ENS) -Eating beef is one of the biggest climate villains, but a vegan diet is not necessary to reach climate goals, finds new research from Chalmers University of Technology. 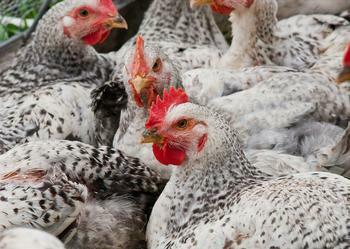 A poultry-based diet is a smart and inexpensive way to reduce our impact on the climate. The trend all over the world is the same: an increasing number of people are eating an increasing amount of beef, although this trend runs counter to the goal of limiting the temperature increase to 2 degrees Celsius as governments agree to do at the UN climate summit in Copenhagen in 2009. 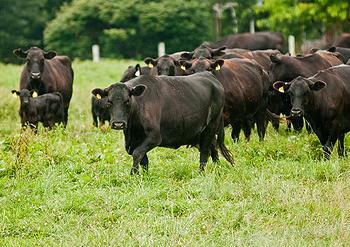 “Cattle ranching is already responsible for 15 percent of the greenhouse gas emissions that humans cause. The diet we are accustomed to in wealthy countries is not consistent with our climate goals,” says Chalmers researcher David Bryngelsson, whose doctoral thesis concerns land use, food related greenhouse gas emissions, and climate change. He examined how the climate would be impacted if humans were to change their diet. People may have heard that that a vegetable diet results in less greenhouse gases. But Bryngelsson’s research shows that we can continue eating animal protein and still make a major contribution to the climate, if we replace beef with poultry and eggs, and cut down on our consumption of milk and cheese. “Even people who eat an extremely protein-rich LCHF [Low Carb High Fat] diet with chicken as the base make a greater contribution to the environment than vegetarians who consume a great deal of dairy products,” he said. Bryngelsson believes that climate gains will prevail even with more chicken-friendly production methods. Technical improvements in the production chain can reduce the food industry’s climate impact, but cattle are still the biggest problem because they need a lot of feed and release the greenhouse gas methane as they ruminate. Cows belch large amounts of methane while chewing their cud, something chickens do not do. Forests are disappearing to make room for the increasing number of cattle, which also impacts the climate. “Since around 70 percent of all agricultural land is currently used to raise cattle, converting to a more energy-efficient diet of poultry would free up land for cultivation of for example bioenergy,” says Bryngelsson, who has also studied that possibility. Bryngelsson’s studies show that a vegan diet is still the most climate-friendly, since plant based food is more efficiently produced than livestock based, but the greatest gains are to be had by discontinuing products from cattle. The benefits to the climate when moving away from a poultry diet to a vegan diet are relatively minor compared to moving away from cattle to poultry, he says. There is no doubt that the chicken leaves a smaller carbon footprint regardless of production method. This is because a hen can have around 150 chicks per year as compared to a cow that can give birth to not quite one calf per year, and because chicks grow extremely quickly and thus absorb a greater proportion of their feed. Intensity of emissions is basically the same for eggs and chicken meat, so Bryngelsson concludes that eggs are also climate smart compared to beef and dairy products.